Powers Bluff is a prominent high hill about two miles southwest of Arpin in Wood County. 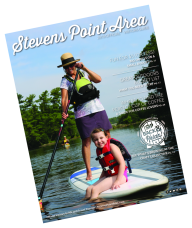 Part of the bluff is in a county park, and about 80 acres of the park have been designated as a State Natural Area. The Natural Area includes one of the best examples of a sugar maple woods free of alien invasive species left in Wisconsin. 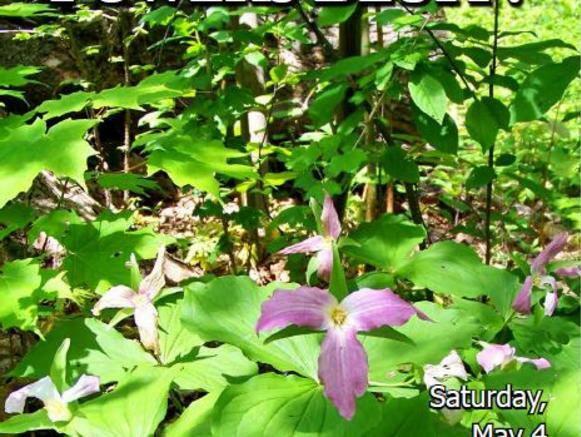 Depending on the weather, we should see hepaticas, spring beauty, trout lilies, bellworts, Dutchman’s breeches, or if early May is warm, trilliums, wild geraniums, Solomon-seals, phlox, anemones, marsh marigolds, etc. 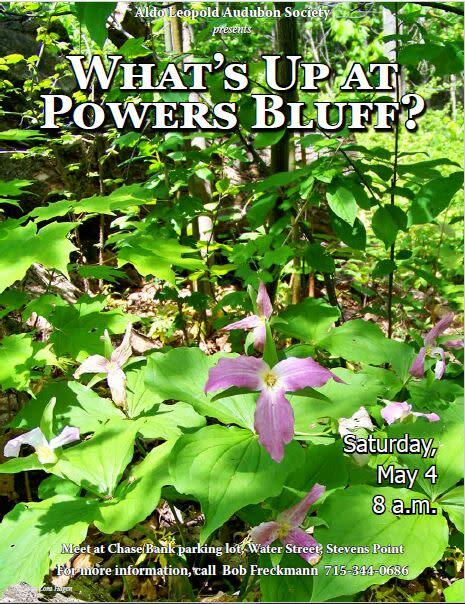 For our field trip to Powers Bluff on Saturday, May 4, meet in the Stevens Point public parking lot on the east side of the Wisconsin River north of the Clark Street bridge and the Chase Bank at 8:00 AM to car pool, or meet the group at the parking lot near the shelter building at Powers Bluff at about 8:45. Bluff Drive, the road to the Park, is one mile south of county highway N, and runs between county highways E and T. We expect to complete the field trip at Powers Bluff around noon. This event is FREE and Open to the Public. Registration is not required.